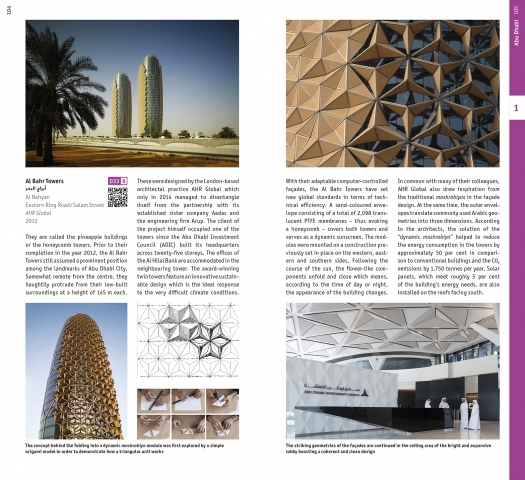 Architecture in the United Arab Emirates boasts a great diversity of design possibilities. In addition to record-breaking buildings in Abu Dhabi and Dubai as well as the neo-traditional edifices found in Sharjah, trendsetting projects can also be found in the smaller emirates. Furthermore, there are numerous examples of a new generation of Emirati architecture, whose focus lies on sustainability and the preservation of diverse building traditions. 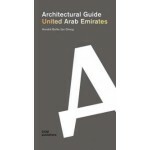 Presented in this architectural guide are more than 200 buildings and projects in this still young country which, owing to its rich oil reserves, has been catapulted within three generations from austere Bedouin culture into the era of the Burj Khalifa. 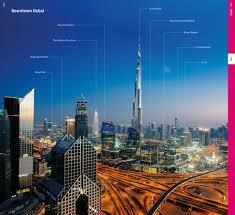 Examined is everything from spectacular high-tech structures to Islamic-Arab projects. The depiction is complemented by interviews with international and local architects and knowledgeable essays related to culture and history. The joint authors of Hendrik Bohle and Jan Dimog cast a critical eye on the multi-faceted architecture and visionary construction projects. This architecture guide thus presents a complex portrait of this ever-evolving land.